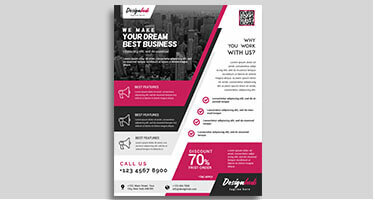 DeDevelopers is offering custom flyer design services in UK. Our team of professional designers are highly motivated to design eye-catching custom flyers according to requirements of the customers. 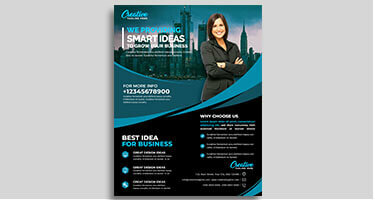 We offer creative and professional designing services to uplift or marketing your business. We as a web development and design agency in London, UK always create classy and unique flyer design for your business because we know the worth of your time and services. At DeDevelopers, our top priority is the satisfaction of our clients with satisfied and quality work. Our team of designers always design flyers of unique design that are not duplicate to promote your business exactly the way you want. We are one of the best web and graphic design services provider in the UK with years of experience. With our skills and experience, we help you to flourish or promote your business. 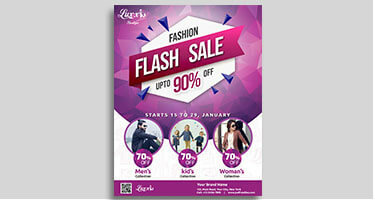 So, if you are looking for a best flyer design company in UK then you can join us. We will design a unique and impressive flyer that you’ll love. You can contact us any time if you want to promote your business with quality work and at best rates.